Love monitoring your computer system? So do we. Geeks, nerds, and ninja coders are known to be quite obsessed about what goes on behind the scenes. 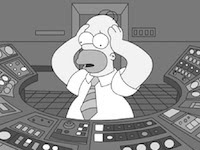 Geeks usually try to make sure their computer system is working efficiently, while coders on the other hand, use system monitoring to test out the memory footprint of their newly created app. Not only does system-monitoring help you weed out the misbehaving apps, it also helps you learn more about the way your computer handles different processes. 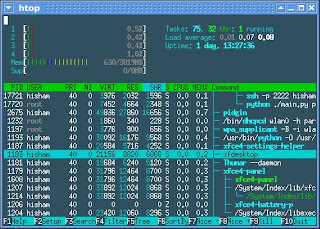 While on Windows the traditional ‘Task Manager’ is used by millions of Redmond fans worldwide, its Linux-based counterpart, that is the ‘System Monitor’, isn't too far behind. What’s more, Linux offers its users with more spam-free, quality options to choose from in this department. So, if you’re looking for the best system monitoring software/tools for Ubuntu, or any other Linux distribution for that matter, read on as we cover the finest in the genre. In 2009, Linux Magazine had to say the following about this amazing little tool called Conky: “[Conky is] one of the best maintained, and definitely one of the most useful, programs in the world of open source". Always staying true to that apt description, Conky has proved to be one of the most popular system monitoring tools not just for Linux, but also for FreeBSD and OpenBSD. Unlike the clunky Windows 7 widget system, Conky blends in perfectly with the desktop, thus giving it a sleek, overlayish look. Once installed, the software lets you monitor your CPU, RAM, swap space, hard-disk space, temperature, battery power, and even display Tweets. Apart from being incredibly lightweight, the open-source tool is also admired for its customizability. 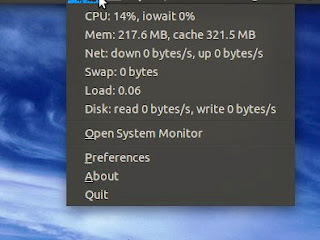 Users can tweak their Conky config file to make the monitor look and behave any way they want. Despite not being so popular with the non-geeky audience, Conky has a huge following among Ubuntu users. In fact, many threads in Ubuntu forums are inundated with posts of people bragging about their awesome Conky setups. Once installed, you can tweak it as much as you want. 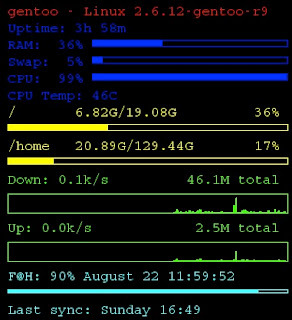 If you want to make it look really posh, don’t forget to go through our earlier article where we've listed some of the best Conky scripts/configs. 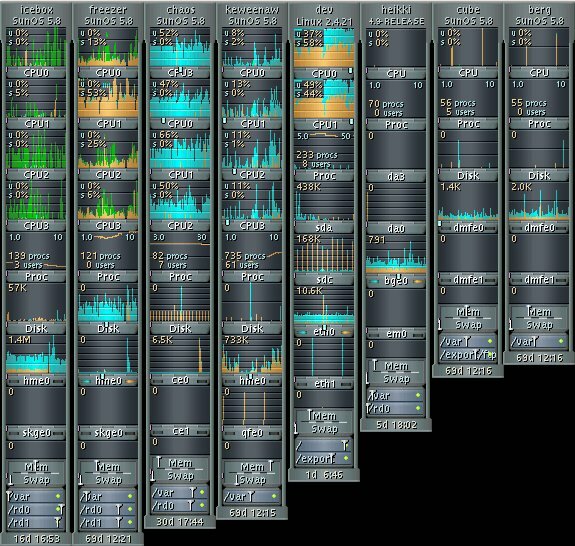 As ugly as it looks, GKrellM is, in fact, an extremely useful system monitor. It is a single-process stack of system monitors that support various themes. Once installed, you can use it to display hostname, clock, uptime, disk space, RAM, CPU, temperature and lots of other important data. What’s more, GKrellM also lets you monitor your IMAP and POP mailboxes. The main advantage of using GKrellM over other system monitors is that it runs all the monitors (RAM, CPU, mail etc.) as a single process. If you like monitoring your system without closing your current windows or opening new ones, then the System Load Indicator is just the right tool for you. Taking advantage of Ubuntu’s indicator menu, the free tool lets you keep an eye on processor usage, RAM usage, network usage, swap space, hard disk space and more. The indicator is a Vala port of GNOME’s system monitor. 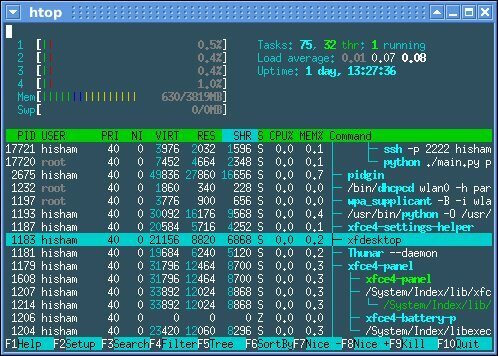 htop is an interactive process viewer for Linux. Similar to, yet more powerful than the popular ‘top’ utility, this command-line tool lets you monitor all the running processes as well as kill the misbehaving ones. The app looks more or less like an interactive chart; the process that uses the most resources moves to the top. Use the arrow keys to scroll through individual processes and use F9 to kill the naughty ones. No mention of KDE's KSystemGuard? It's pretty slick and looks much nicer than Conky, GKrellM, or htop.